Few people know the civil rights struggle of how the diagnosis of homosexuality evolved and was finally deleted from psychiatry's official nomenclature, the DSM. 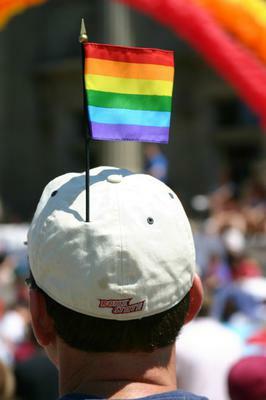 It was not until scientists joined hands with LGBT activists that real change began to happen. Over those years, many people suffered severe psychological injury by the very people who were ostensibly there to help them. Some of this tragic legacy continues today. I am a clinical social worker on the faculty at Duke University in the Department of Psychiatry. I first presented this material at "Grand Rounds" here for the Department of Psychiatry, and since then I have been making a multi-media presentation to audiences at other universities, mental health conferences, etc., all over the country. As such, I have a lot (really a lot!) of material that is just begging for someone to take what I have on slides, film clips and audio recordings and make this it into a film that can be widely shown. My presentation begins in the 1950’s and takes the audience through the tumultuous 60’s and 70’s up to the present to demonstrate the legacy and implications of psychiatry’s once implacable position that “homosexuality is treatable psychopathology.” Thousands of people have seen my presentation and learned how internalized prejudicial attitudes affect everyone, including those who came asking for help and those who provided treatment. I would love to make this compelling and even dramatic story available to the masses. That said, I need to add that I am extremely busy. I work full time at Duke and have a very active psychotherapy practice in my home. I would need (experienced!) collaborator(s) who feel passionate about this topic and have time to invest in making this film a reality. I understand that this may not work out, and my material will remain in more or less obscurity. I am prepared for that eventuality. Please share your comments and feedback about this documentary idea.